Petersons Group is Kefalonia’s leading residential property company, delivering unrivalled customer service through commitment and excellence. The core of our award-winning services is development and construction of new, energy efficient, homes. We are the only Real Estate and Development Company in Kefalonia with more than 8 in-house engineers and supporting team, 3 on-situ engineers, a large variety and number of builders and technicians across the island, capable of delivering the best new developments to the market. Over the last two decades, our company completed more than 345 projects, landscaped more than 119.000m² of land, build & constructed more than 31.500m² of buildings, provided complete A-Z solutions and delivered unrivalled customer experience. 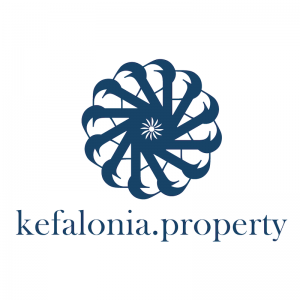 If you wish to buy a new home in Kefalonia, the benefits of purchasing a plot with great view and building a house on it, should never be underestimated but it I should be your priority. One of our in-house architects will be dedicated to your project and with your help, through constant correspondence with you, will design a dream-house based on your needs and requirements. They will guide you to choose the finest, cost effective and high quality materials & fittings in order for your new home to have an added value upon completion. Furthermore, our new constructed houses are coming with an additional benefit. Through our own property management company (The Finest Villas of Kefalonia), we offer total property management services that besides care and maintenance we can include a rental contract, where you can have profit out of your property while you are not enjoying it. To discuss new home investment opportunities and ask more questions for our new home property service, please contact us.